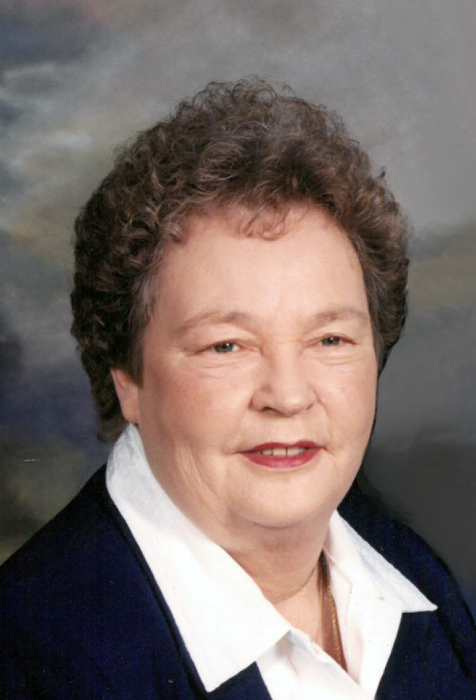 Obituary for Darlene (Granell) Oftedahl | J. H. Lynner Co.
Darlene Oftedahl died Wednesday, March 27, 2019 at the Granite Falls Care Center at the age of 85..
Funeral services will be held Monday, April 1, 2019 at 10:30 AM at Yellow Medicine Lutheran Church in Hanley Falls, MN. Vicar Myron Crawford will officiate and interment will be in East Yellow Medicine Lutheran Cemetery. Visitation will be held on Sunday, March 31 from 1-3:0 PM at the church with a prayer service at 3:00. Visitation will continue one hour prior to the service at the church on Monday. Nola Darlene Oftedahl was born on October 22, 1933 in Clarkfield, MN to Lee and Evelyn (Johnson) Granell. She attended Clarkfield schools and graduated in 1951. She attended Augsburg College where she played basketball. She was recruited to play basketball for the Dallas Cowgirls professional team but was not able to attend the tryout. She married Glenn Oftedahl on May 8, 1955 and they had three children: Mike, Perry and David. Besides raising a family Darlene would help on the farm as well as work various jobs throughout her life. She was a school bus driver, worked at Carl’s Bakery, Bob’s Red Owl, Granite Dry Cleaners, and Prairies Edge Casino. Darlene was a member of Yellow Medicine Lutheran Church and was active in ladies aid. She also was a member of the Legion Auxiliary. Darlene enjoyed gardening, especially flower gardens, making apple pies, painting, crossword puzzles, jigsaw puzzles, photography and listening to music. She cherished her time spent with her children, grandchildren and great-grandchildren. Darlene is survived by her children: Mike Oftedahl, Perry Oftedahl, David (Lori) Oftedahl all of Hanley Falls; seven grandchildren: Teresa Kuehl, Jason Dunn, Chris Oftedahl, David (Amanda) Oftedahl, Megan (Matt) Birkel, Chelsea (Andrew) Goodwin, and Barrett (Brogan) Evenstad; seven great-grandchildren: Brianna, Maddie, Naomi, Savannah, Lillian, Henrik, and Annika; sister: Marilyn (Dean) Baker, Seattle, WA; brother: Larry “Butch” Granell, Hanley Falls; and brother-in-law: William C. Sharkey, Hanley Falls as well as extended family and friends. She was preceded in death by her parents; her husband, Glenn; grandson: Adam Oftedahl; brother: Lee Wayne Granell; sisters: Dallas (Jerry) Dayton, Wanda Sharkey, and Rosalie (Charles) Savoie.